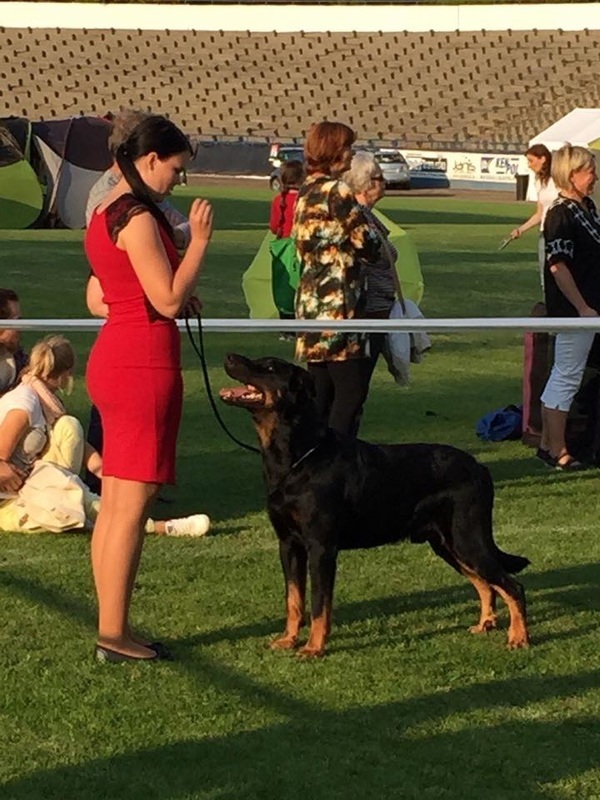 18.-19.06.2016 2x IDS Klagenfurt (AT), champion class, Judges: ?? 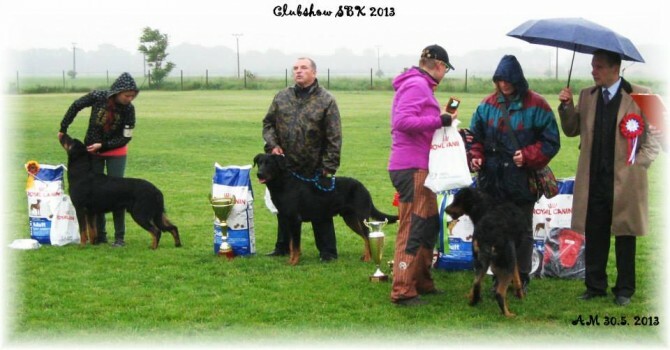 , 2x Exc.1, CAC, CACIB, BOB!! 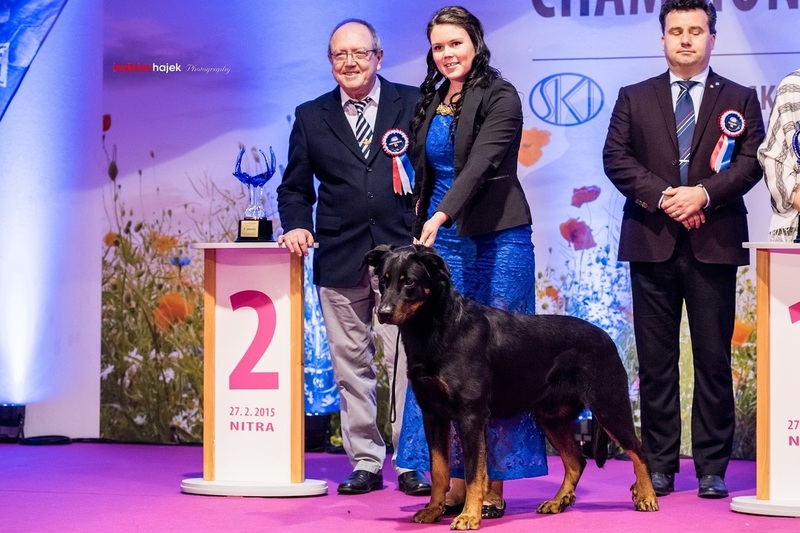 23.04.2016 Club show of beaucerons Pezinok (SK), champion class, Judge: Hollbacher, Exc. 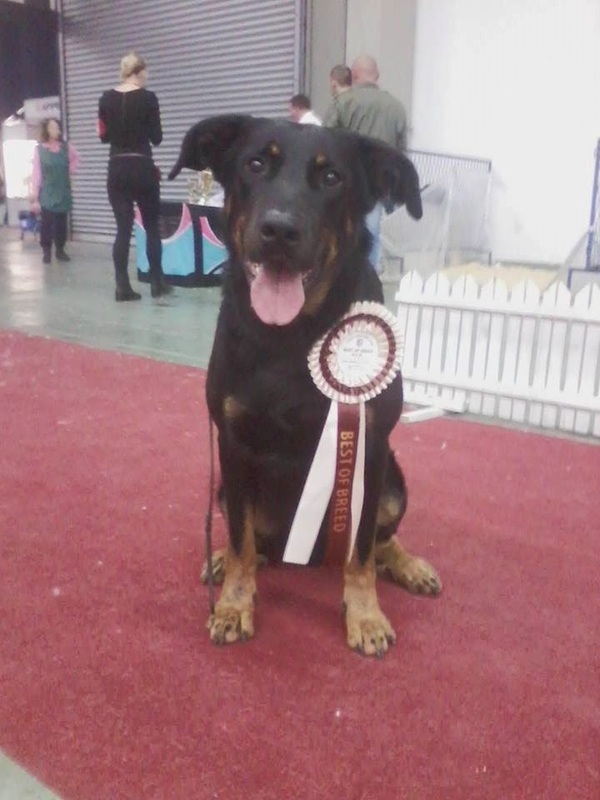 1, CAC, CLUB Winner, BOB! 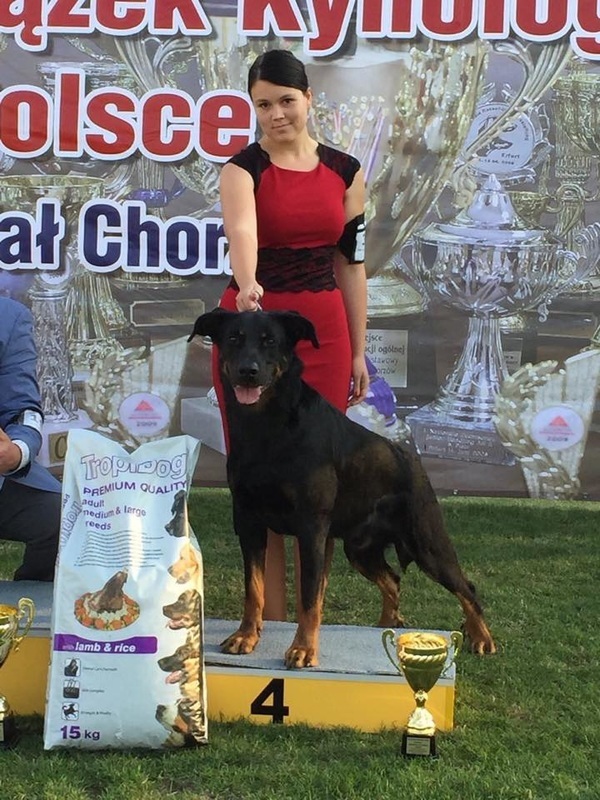 1.04.2016 Champion of Champions Nitra (SK), chmapion class, Judge: Piskay, Exc. 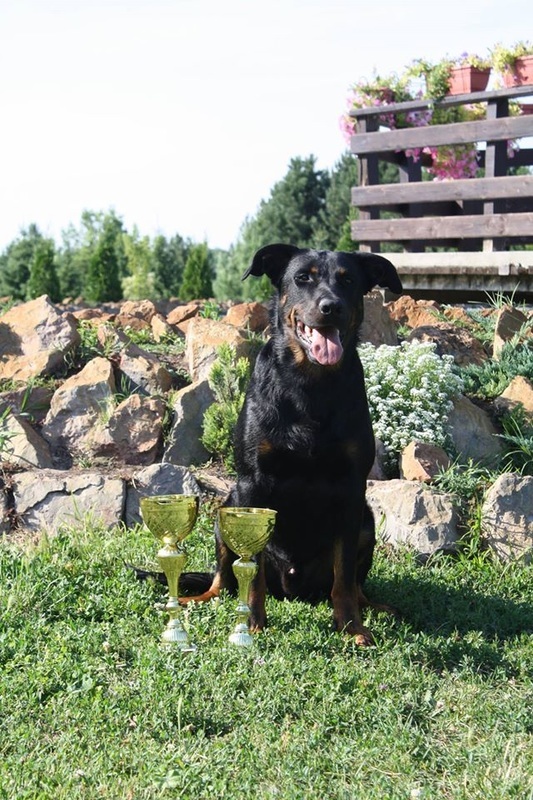 1, CAC, Victory Winner, BIG 2. 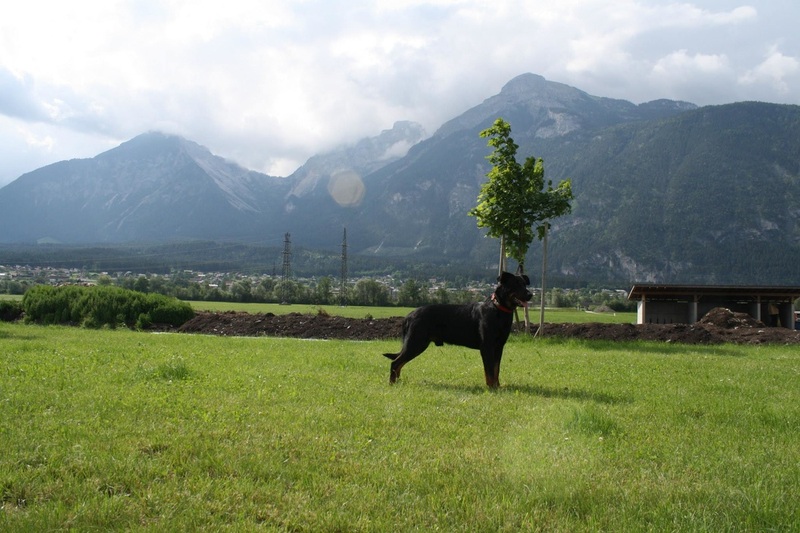 place!! 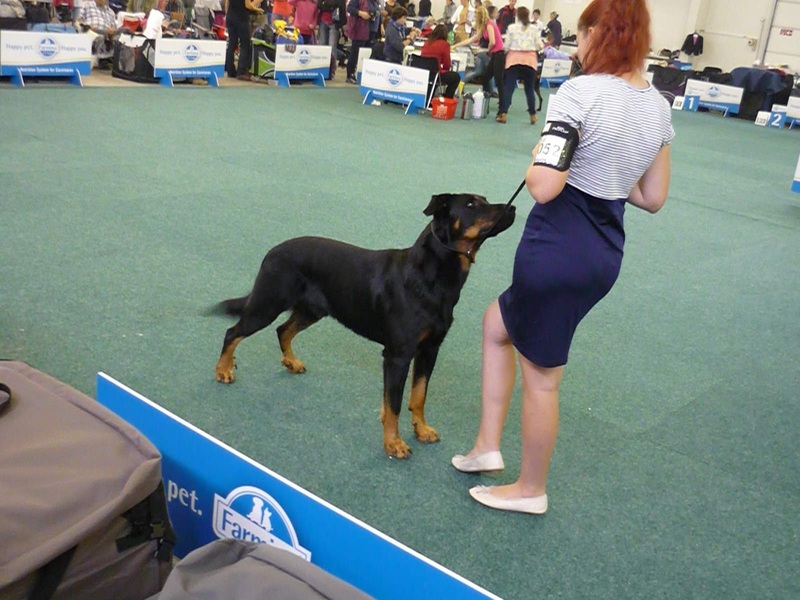 12.03.2016 CRUFTS 2016 (UK), open class: Judge: Gray, Exc. 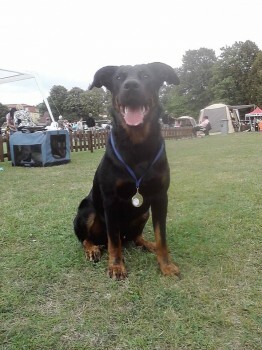 1, winner of the class, best dog, BEST OF BREED! 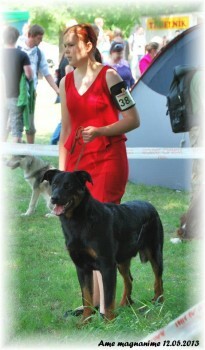 ,,Open class - without doubt the best class of the day. 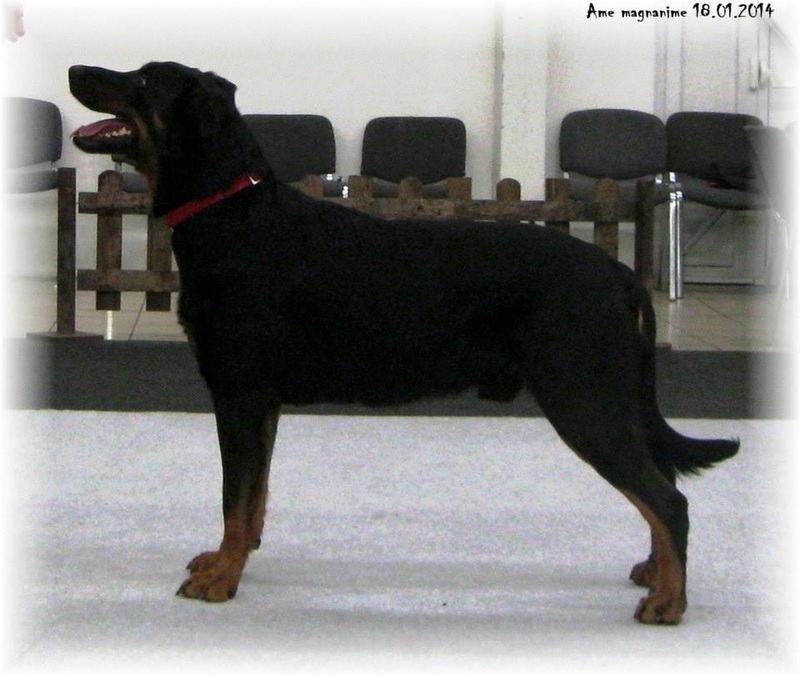 1.st Novak´s Multi CH Cyrano Puissant Ame Magnanime 4 years b/t male, of superb quality & breed type from this excellent class, excellent temperament, good mouth, correct head & expression with dark eye, correct ear placement, strong neck into well laid shoulder, excellent angles & proportions throughout, good bone & strong pastern, lovely tight feet, good depht of brisket with well sprung ribs, strong loins, firm level back into well laid moulded croup, shade hight in tailset, strong hindquarters with clean hocks & double dew claws, he was superbly sound both ways with an excellent side gait showing good reach, shown in good hard condition & handled to perfection, a worth representative of the breed in the group" → Class Winner, Best dog, BEST OF BREED! 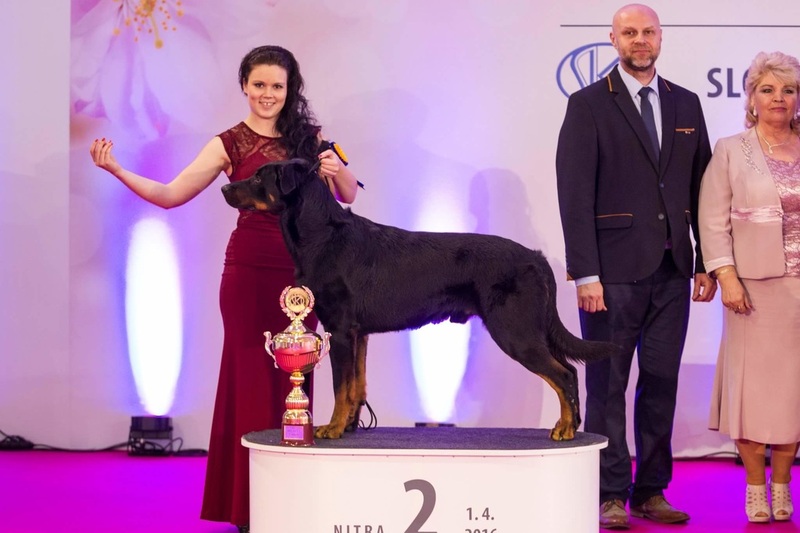 ﻿﻿5.-6.12.2015 IDS Wels (AT), champion class, Judges: ?? , 2x Exc. 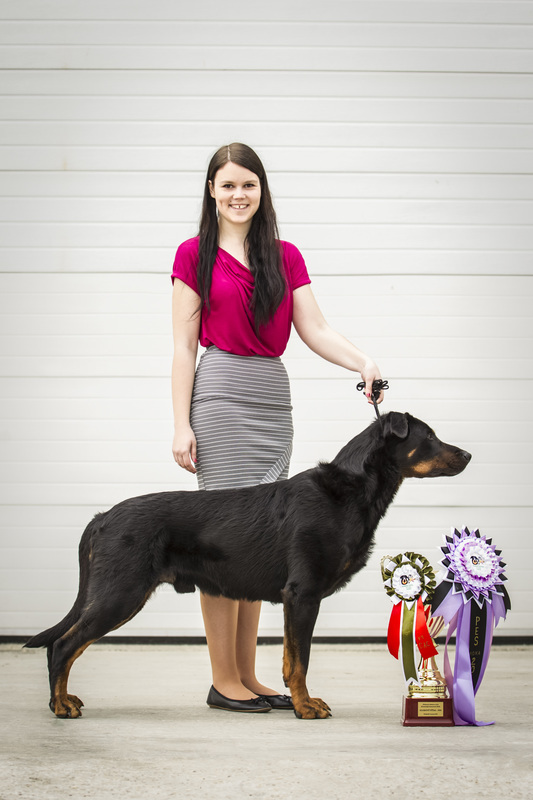 1, CAC, CACIB, BOB, BIG 4. place! 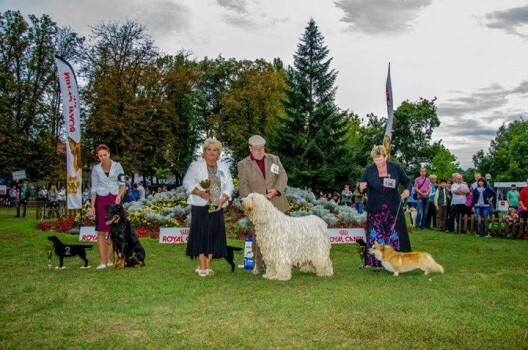 25.10.2015 IDS Bratislava (SK), champion class, Judge: ?? 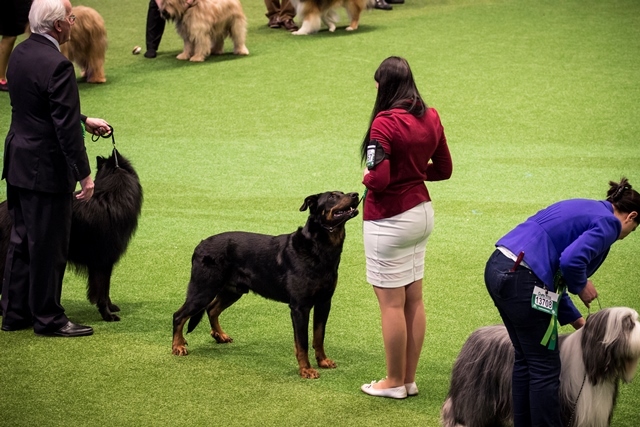 , Exc. 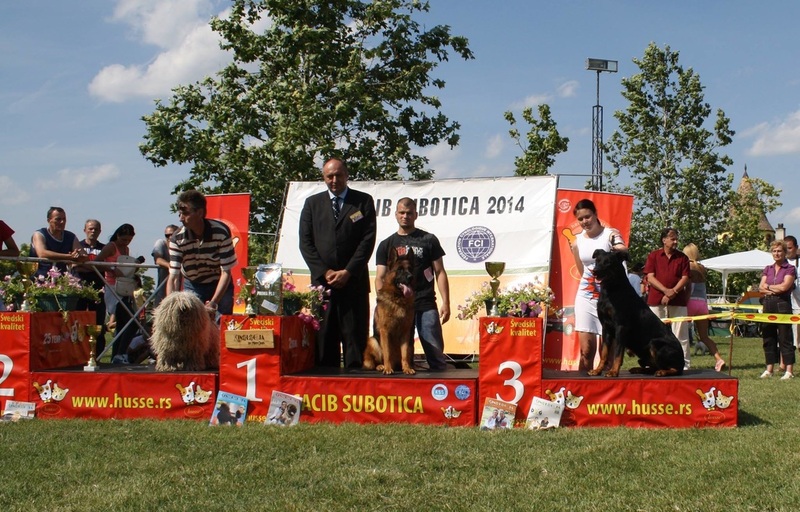 1, CAC, CACIB, BOB, BIG 3. 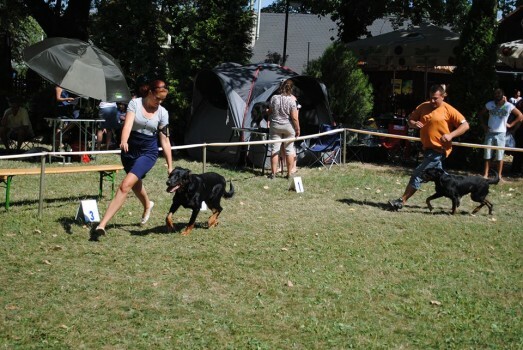 place!! 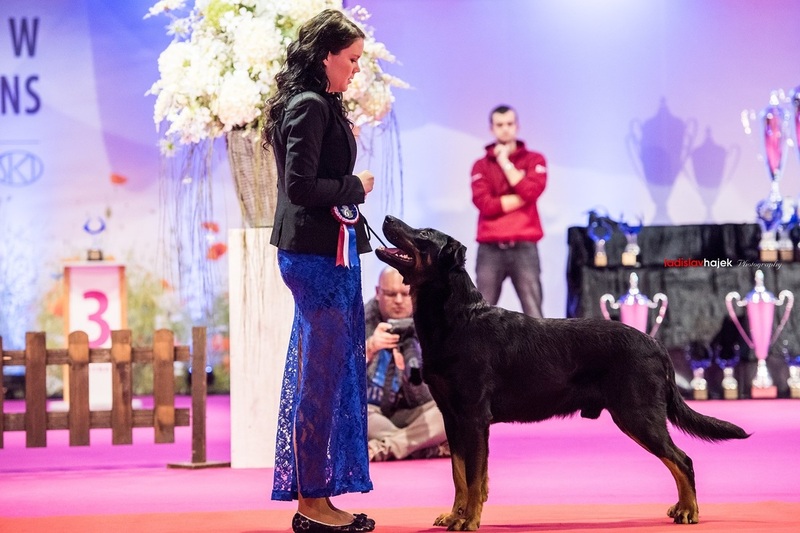 27.02.2015 Victory show (SK), champion class, Judge: Havelka, Exc. 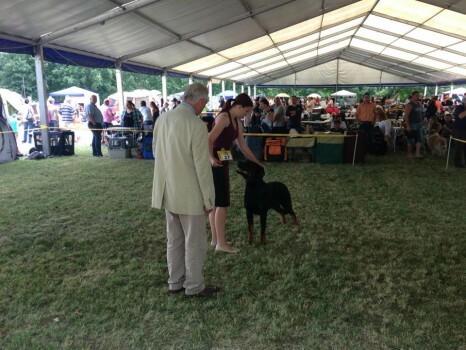 1, CAC, Victory show Winner, BEST IN GROUP 2. 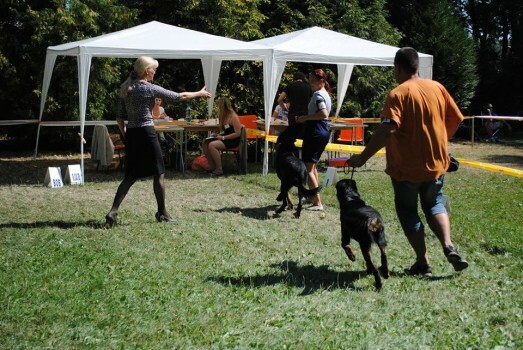 PLACE!! 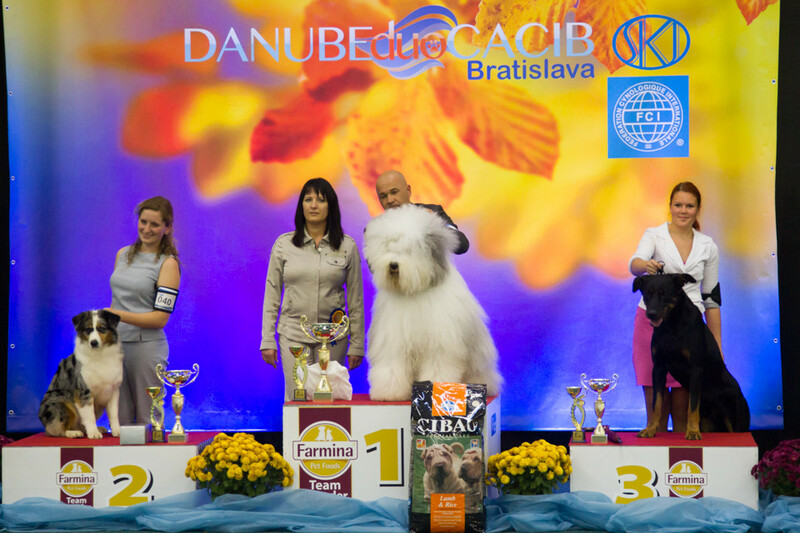 23.10.2014 EUROPEAN DOG SHOW Brno (CZ), champion class, Judge: Chapiro, Exc. 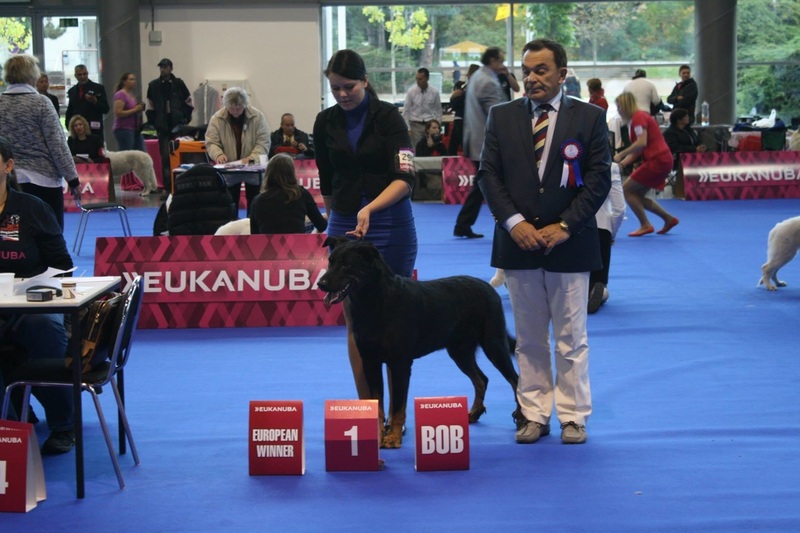 1, CAC, CACIB, European Winner 2014, BOB!! 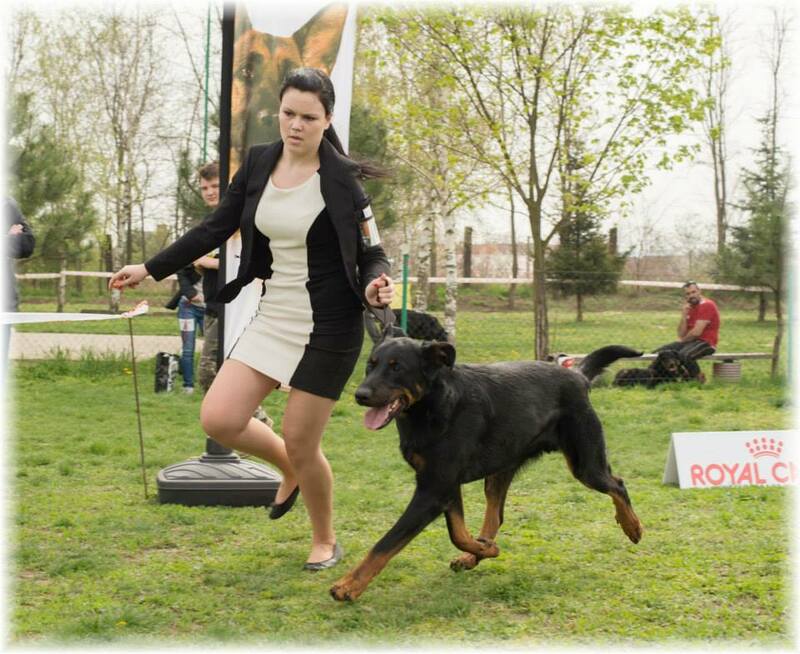 05.4.2014 Special show Alekšince (SK), open class, Judge: Tibor Havelka, exc. 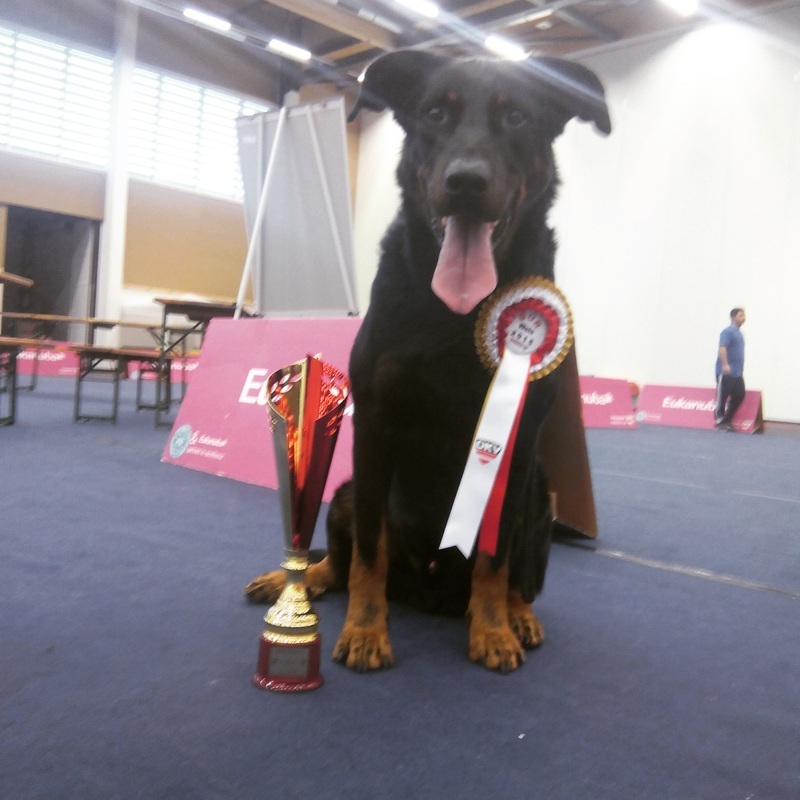 1, CAC, TOP DOG SBK 2013!!!!!! 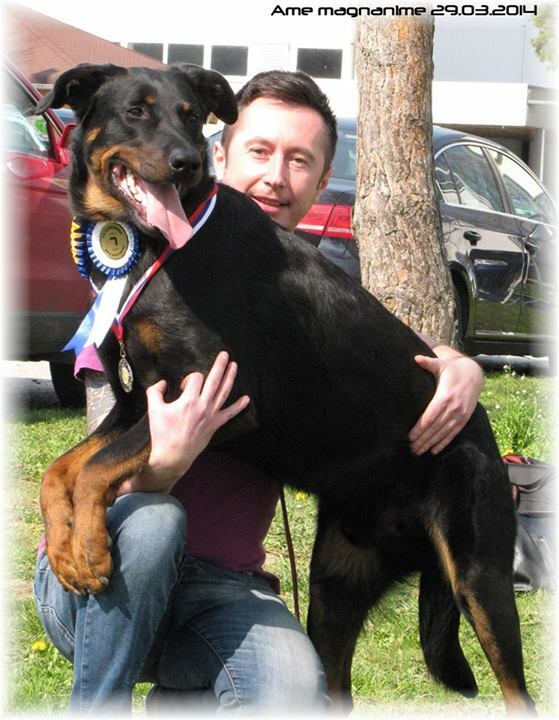 30.3.2014 IDS Nitra (SK), champion class, Judge: ??? 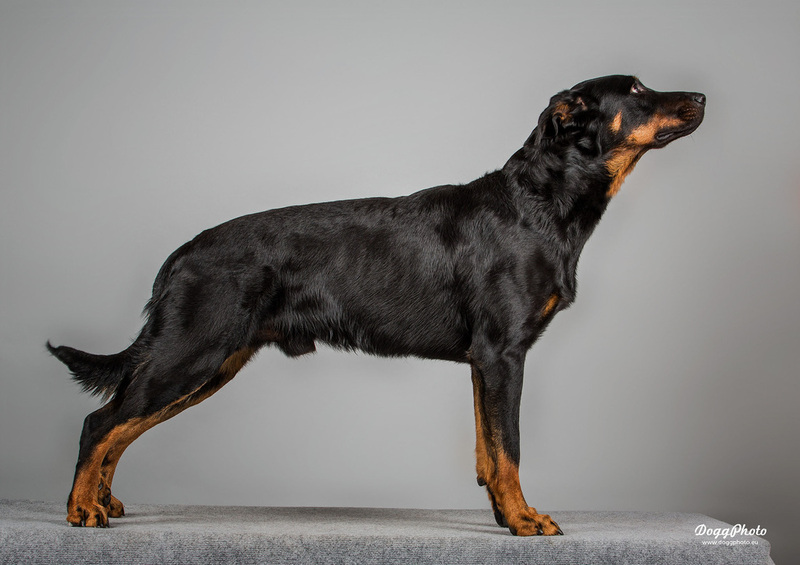 , exc. 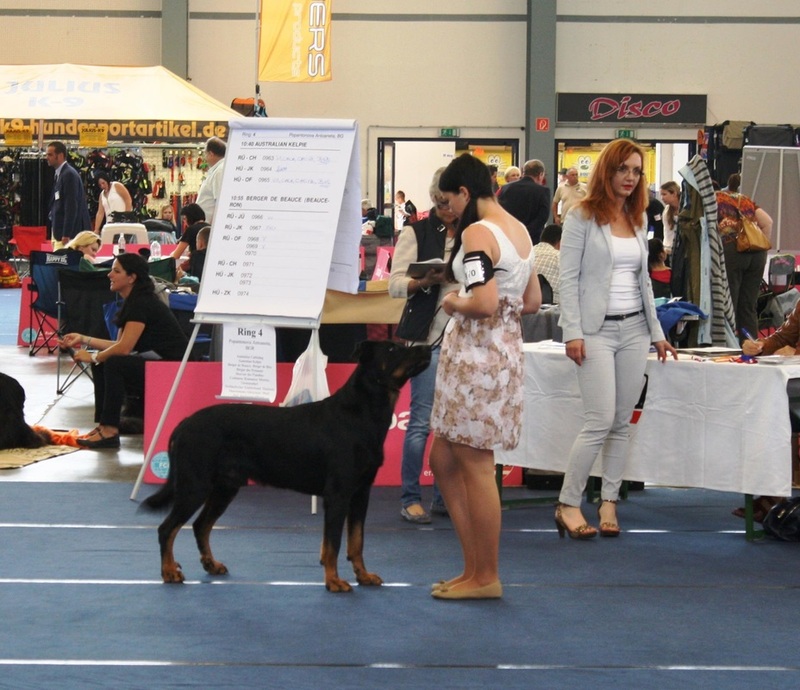 1, CAC, CACIB, BOB!! 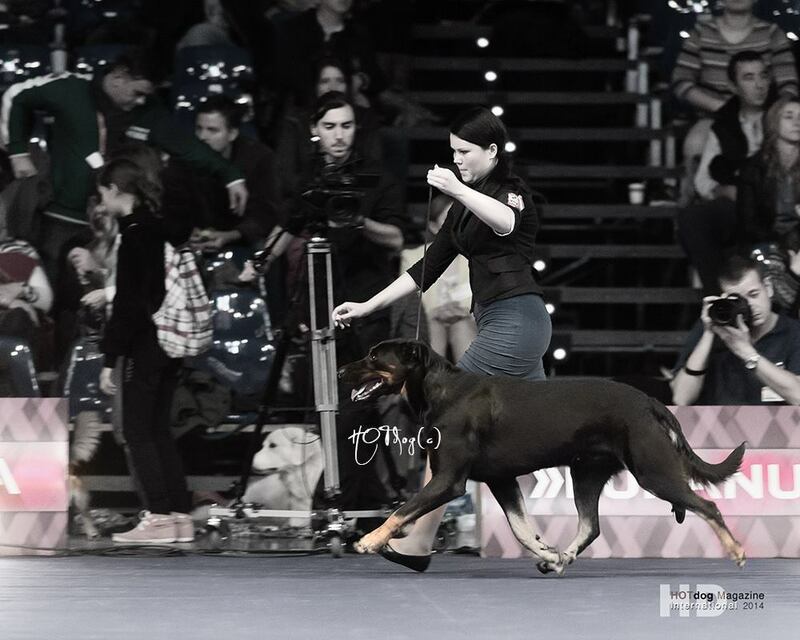 09.3.2014 IDS Graz (AT), intermediate class, Judge: ?? 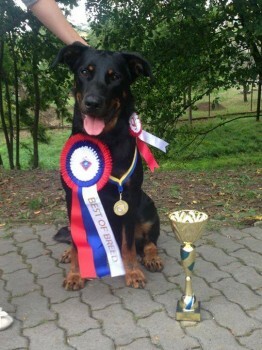 ?, exc. 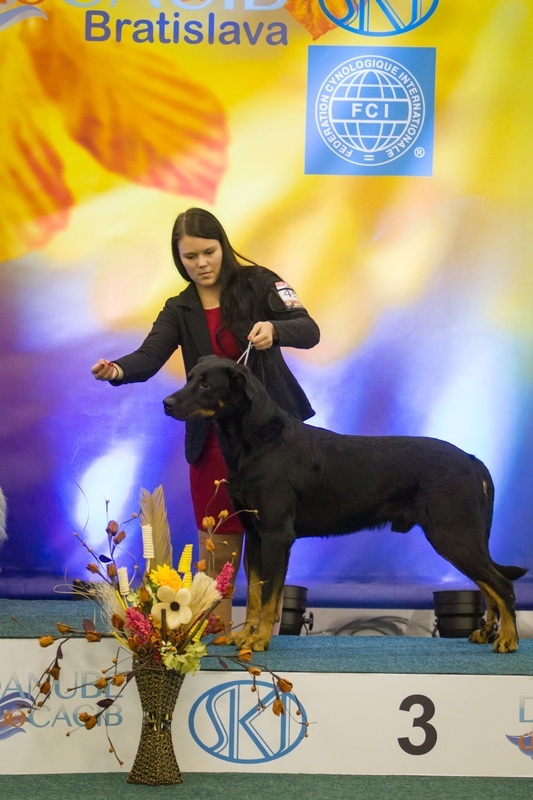 1, CAC, CACIB, BOB!! 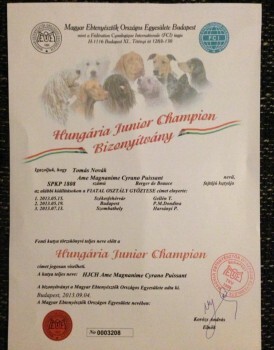 1.12.2013 IDS Nitra (SK), intermediate class, Judge: Jaroslav Matyáš (SK), exc. 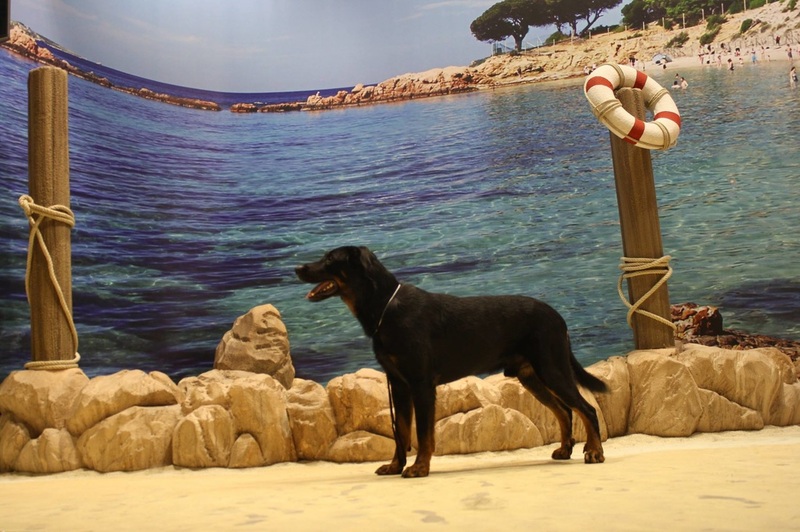 1, CAC, CACIB, BOB!! 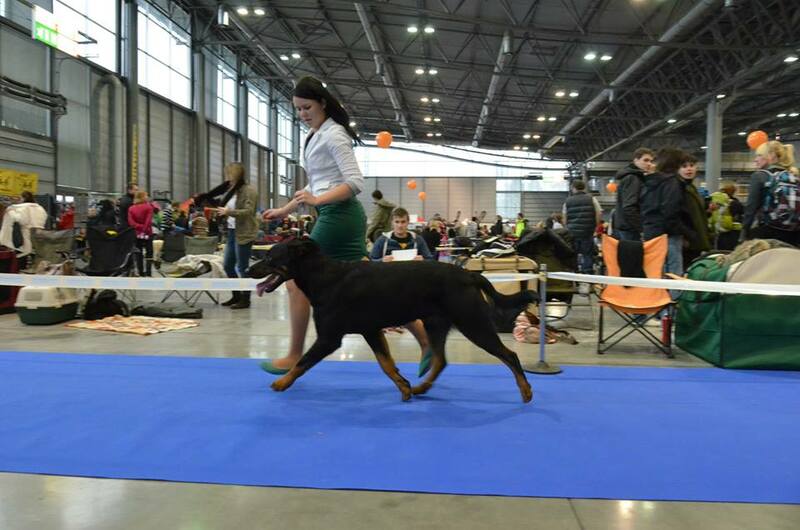 30.11.2013 IDS Nitra (SK), intermediate class, Judge: Ligita Zake (LV) , exc. 1, CAC, CACIB, BOB!! 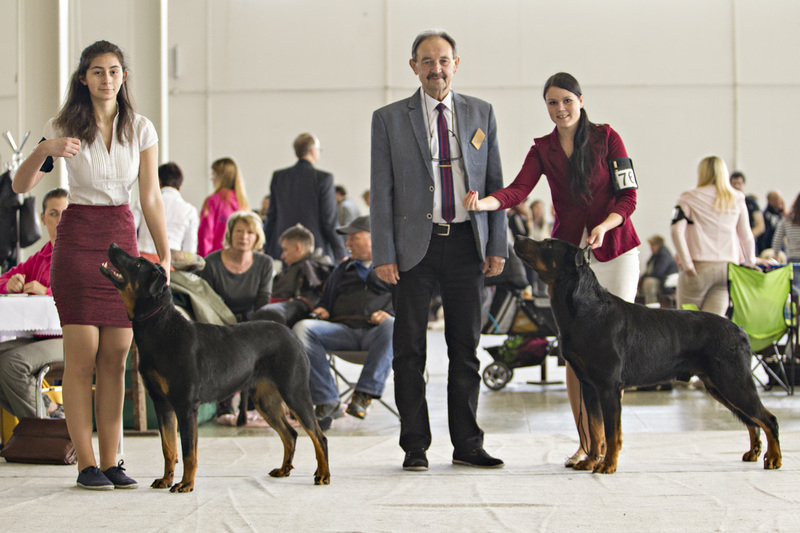 27.10.2013 IDS Bratislava (SK), intermediate class, Judge: Wieremiejczyk - Wierchowska Malgorzata, PL, exc. 1, CAC, CACIB, BOB!! 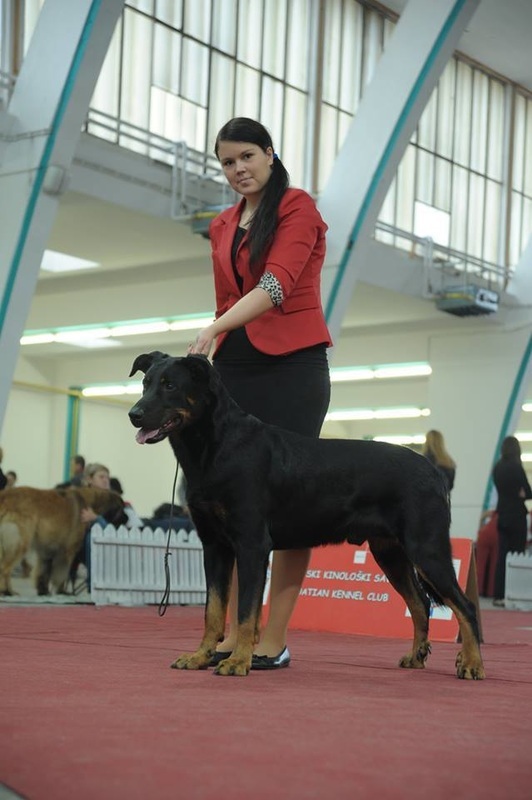 26.10.2013 IDS Bratislava (SK), intermediate class, Judge: Harsányi Peter (HU), exc. 1, CAC, CACIB, BOB, BIG 3!!! 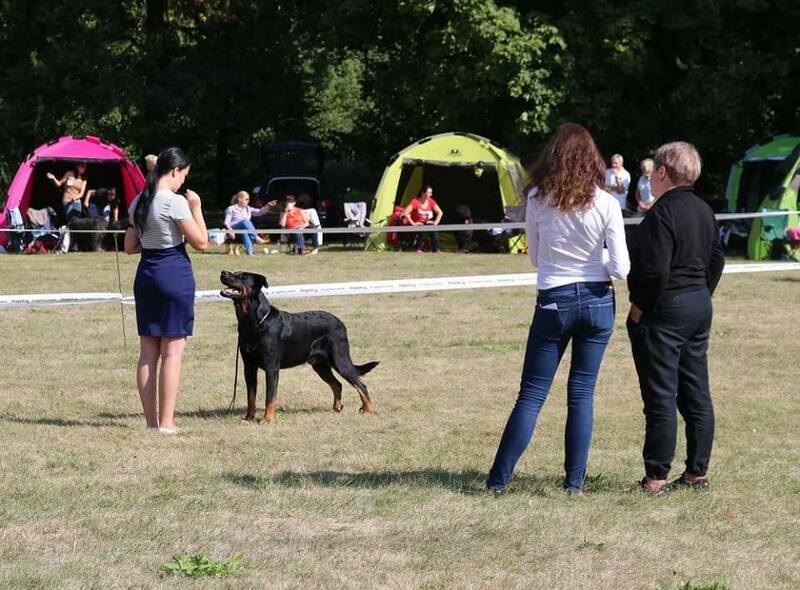 21.09.2013 Special Show BKČR (CZ), intermediate class, Judge: Alain Thevenon (FR), exc. 1, CAC! 15.09.2013 NDS Lučenec (SK), intermediate class, Judge: G. Ridarčíková, exc. 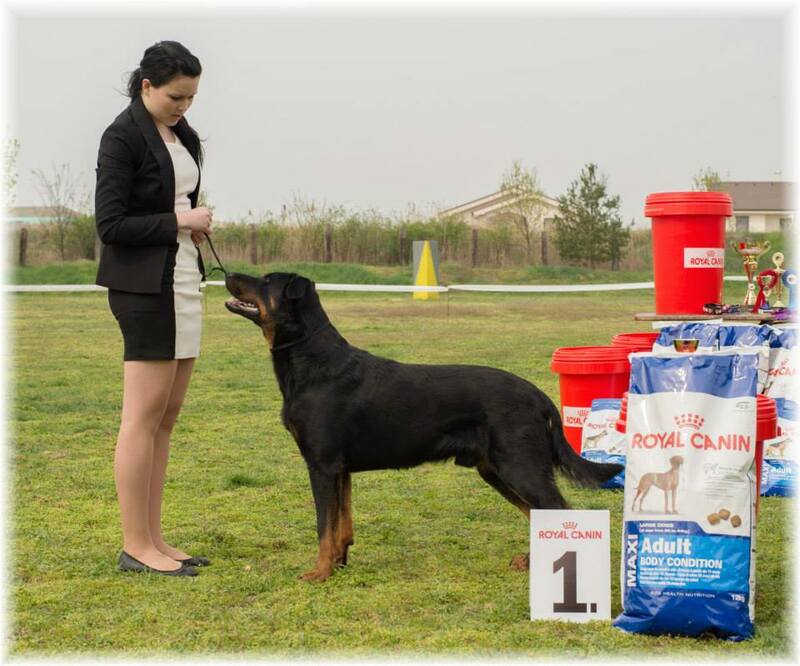 1, CAC, BOB, National Winner, BIG 2!!! 14.09.2013 NDS Lučenec (SK), intermediate class, Judge: Milan Bíroš (SK), exc. 1, CAC, BOB! 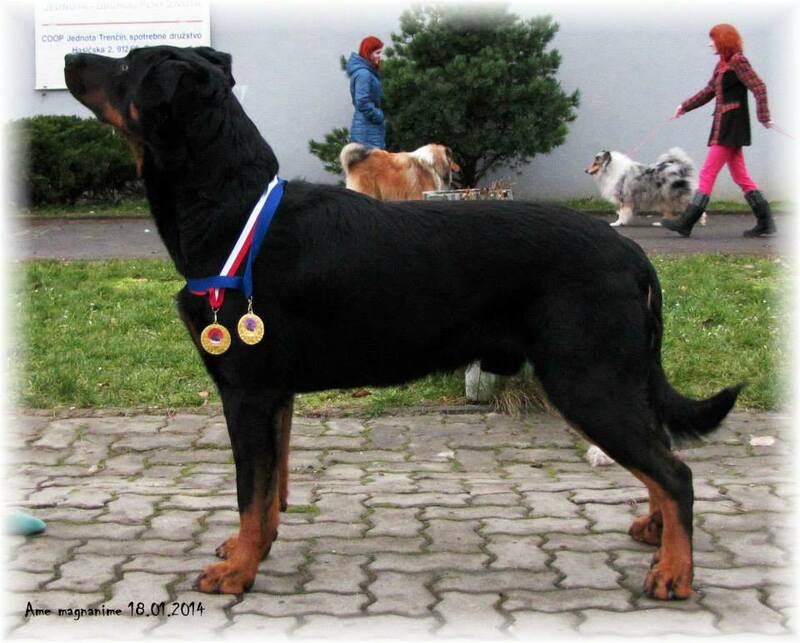 18.08.2013 IDS Bratislava (SK), intermediate class, Judge: Zizevske Livija (LT), exc.1, CAC, CACIB, BOB! 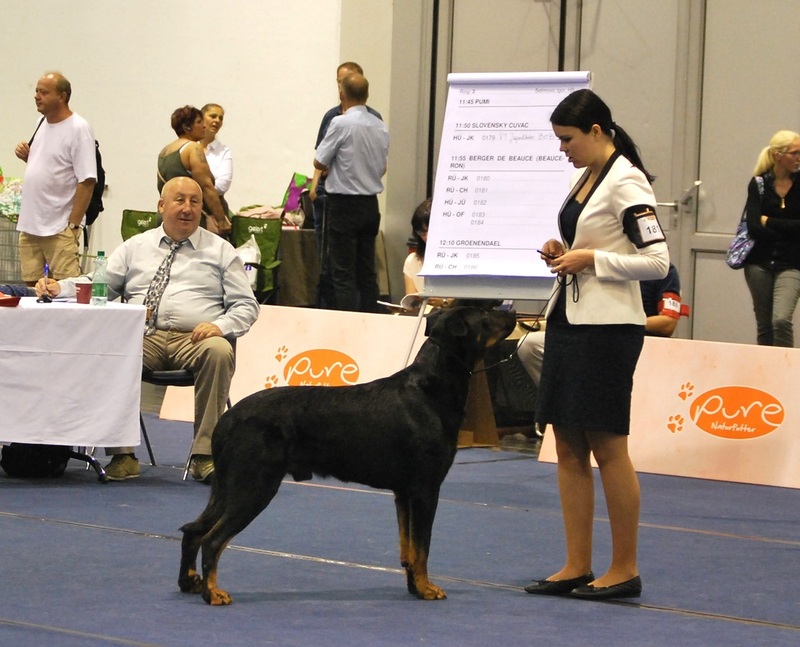 17.08.2013, IDS Bratislava (SK), intermediate class, Judge: Kremser Brigita (SLO), exc.1, CAC, CACIB, BOB, BIG 2!!! 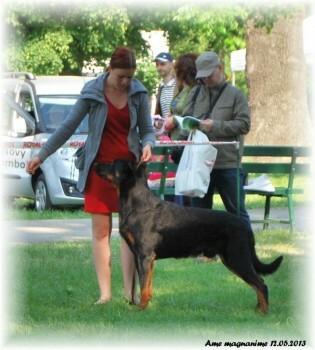 13.07.2013 IDS Szombathely (HU), junior class, Judge: Harsányi Peter (HU), exc. 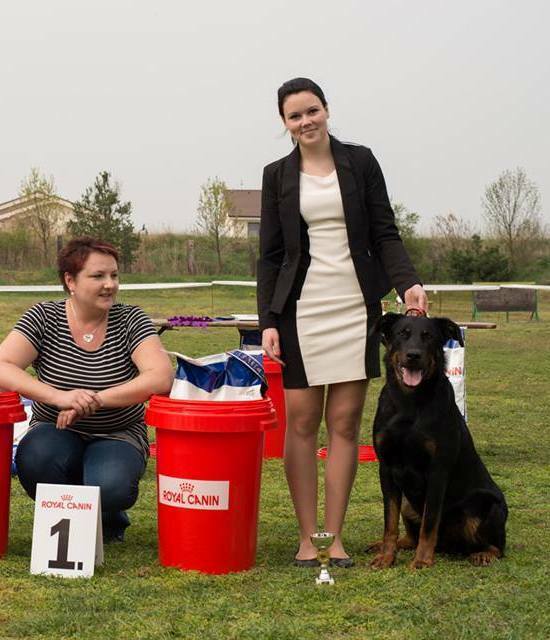 1, CAJC, BOB, Junior Champion HU! 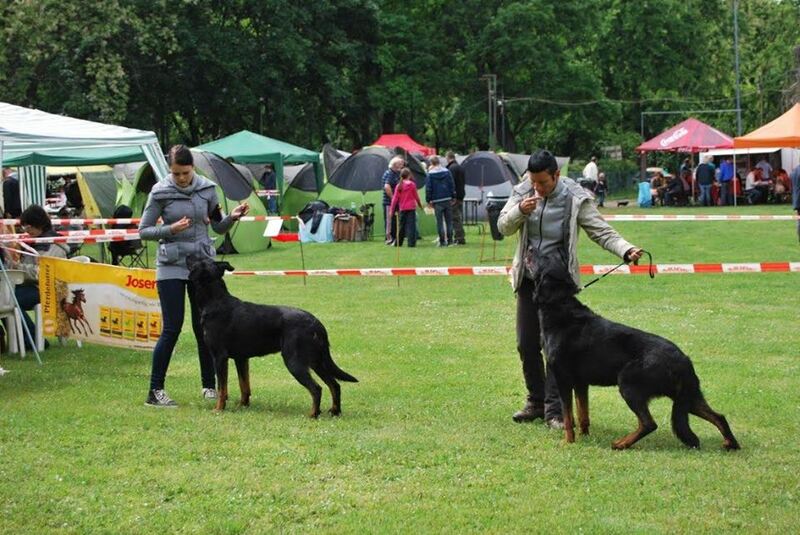 15.06.2013 IDS Székesféhervár (HU), junior class, Judge: Gellén Tibor (HU), excellent 1, CAJC, BOB! 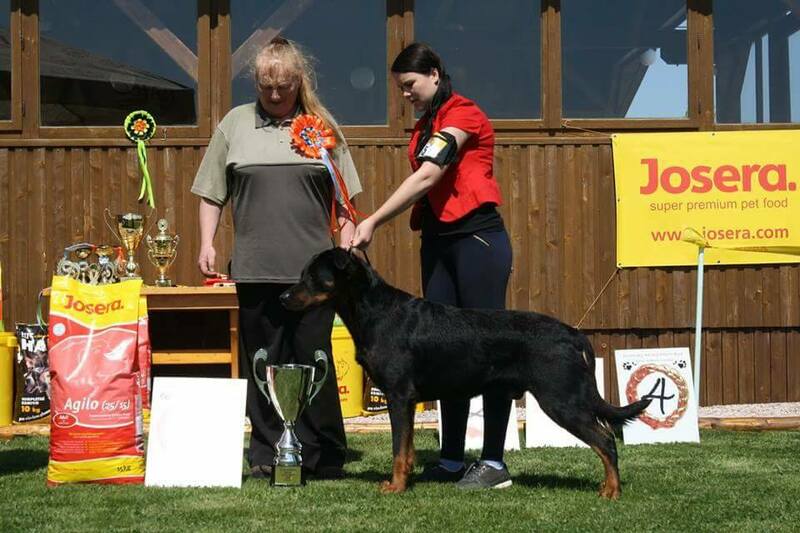 30.05.2013, Clubshow SBK Zálesie (SK), junior class, Judge: Miroslav Dobák (SK), excellent 1, CAJC, Primus Junior! 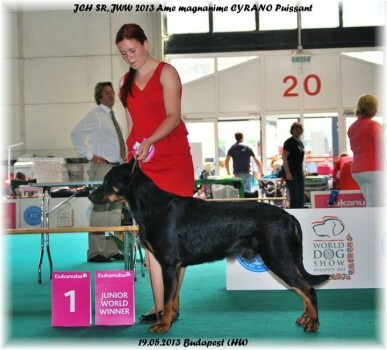 19.05.2013, WDS 2013 Budapest (HU), junior class, Judge: J. Hindse (DK), exc. 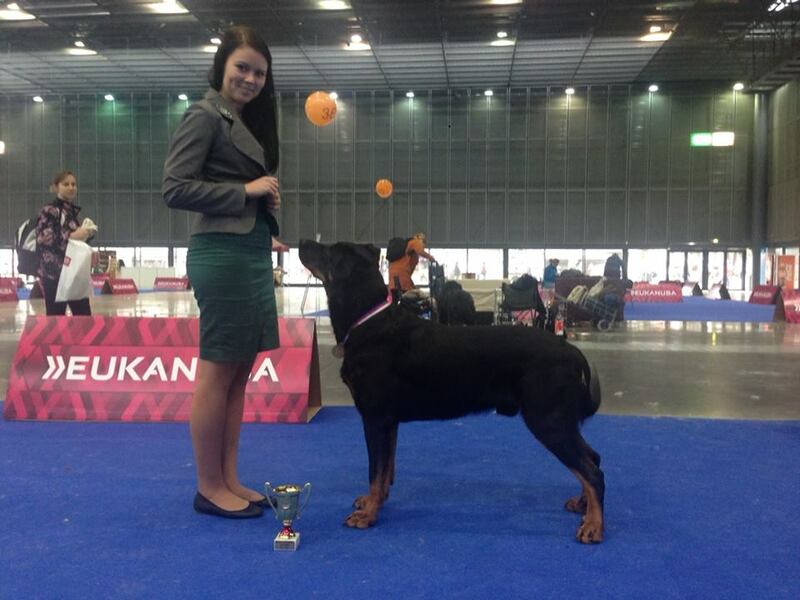 1, CAJC, Junior World Winner 2013! 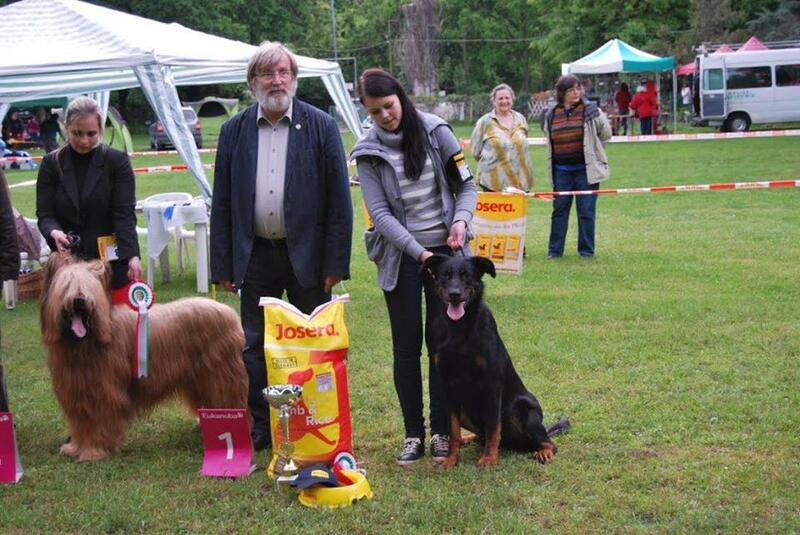 11.05.2013 IDS Košice (SK), junior class, Judge: Szabó Sándor (HU), excellent 1, CAJC, Junior Champion SR! 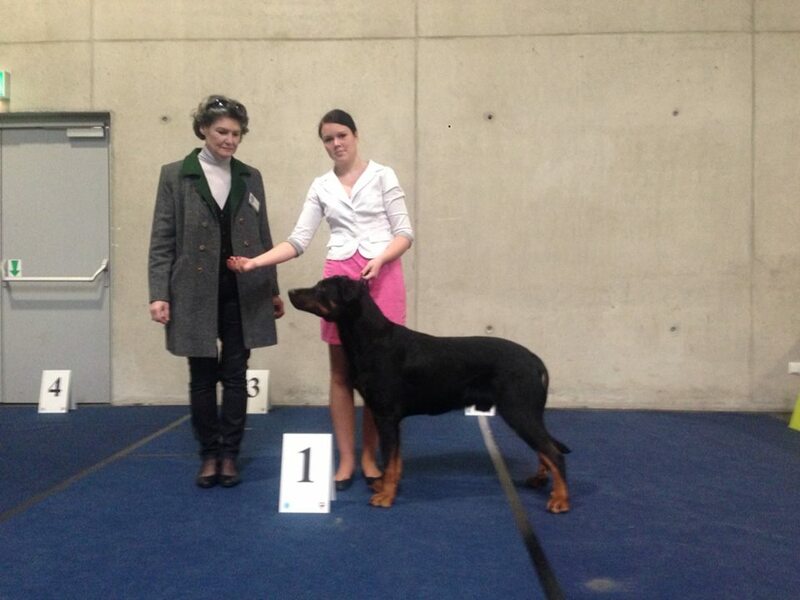 24.02.2013 IDS Nitra (SK), junior class, Judge: Josef Mravík (SK), excellent 1, CAJC, BOB! 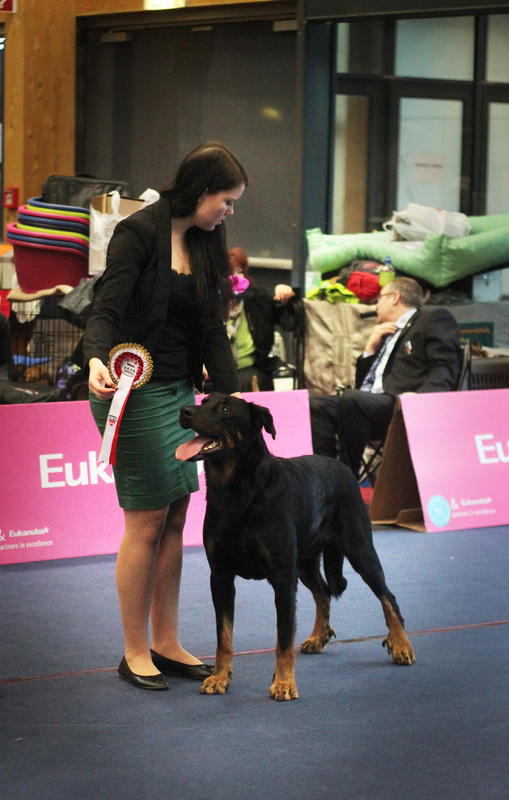 26.01.2013 IDS Trenčín (SK), junior class, Judge: Szabó Sándor (HU), excellent 1, CAJC, BOS! 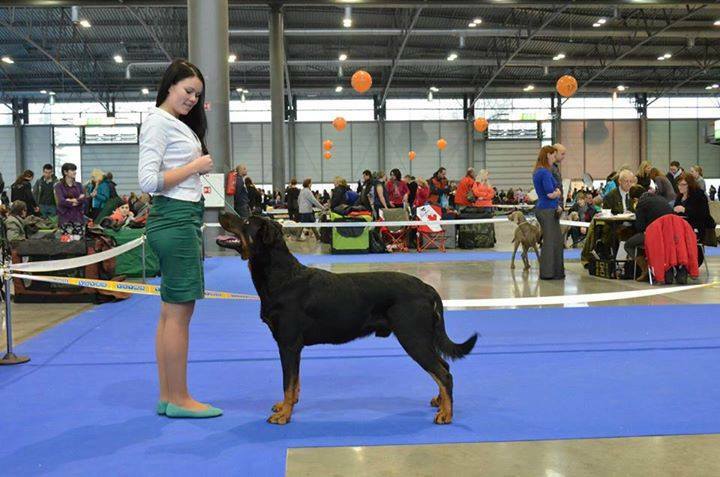 27.10.2012 Clubshow SBK Alekšince (SK), puppy class, Judge: H. Dvořáková (CZ), very promissing, Primus Puppy!